Dr. Marsha E Gorens, MD is a Doctor primarily located in Chicago, IL, with another office in Chicago, IL. She has 39 years of experience. Her specialties include Obstetrics and Gynecology. She speaks English. Dr. Gorens has received 2 awards. 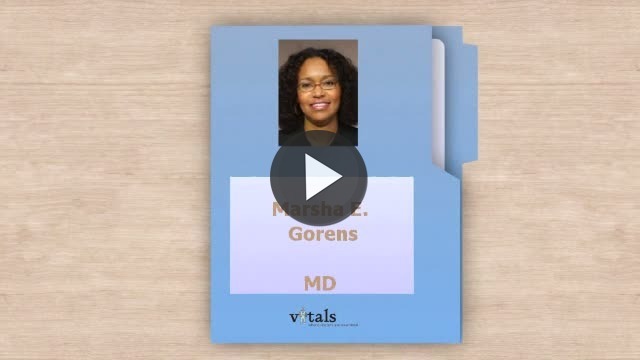 The overall average patient rating of Dr. Marsha E Gorens is Great. Dr. Marsha E Gorens has been rated by 35 patients. From those 35 patients 12 of those left a comment along with their rating. The overall rating for Dr. Marsha E Gorens is 4.2 of 5.0 stars. Dr. Gorens has been my physicians for years. I initially stopped seeing her however could never remember why. My reality checked in and now I know why I stopped seeing her. This physicians never returned my calls after taking lab work. I had to keep calling her office to get the results of my lab work. Only after I spoke with her nurse she finally decided to give me a callback. My suggestion is never start a patient on a hormonal treatment and not follow up with them after 3 months of being on a regimen. She’s never informed me if my levels are within range or not. I’m only saying find a doctor who cares. I was recommended to Dr. Gorens by a co-worker and very pleased with my experience. Dr. Gorens is patient and thorough in explaining everything to me. She promptly responds to texts and emails and her staff is very friendly and competent at assisting Dr. Gorens. I would not hesitate to recommend others. Dr. Gorens is the BEST! She is my favorite Dr.. She listens and gives sound advice. She has greatly helped improve the quality of my life. I am grateful and lucky to have become a patient under her care. Very difficult to get an appointment. Called 4 times just to talk to someone. Very unresponsive asking for test results by phone. Very poor blood draw by staff. Doctor seems fine but support staff is a big problem. Through a recommendation, I scheduled my 1st appointment with Dr. Gorens, for 4:30p. I arrived early enough to fill out paperwork, and after completion, it was 4:20p. After waiting for OVER an hour, I told the clerk at the desk I would not be waiting another minute and was leaving. When I arrived, my 1st impression was of how loud the music was and how awfully cluttered the main desk was. I was not comfortable with this lack of professionalism and I would NEVER recommend this doctor, nor this office to ANYONE!